Sean O'Heslin's GAA Club was recently described by Micheal O’Muireachertaigh as ‘the most vibrant club west of the Shannon’. It has a healthy juvenile section boys and girls as well as ladies, senior and junior mens football, not forgetting the staunch brigade of hurlers. The Club house includes a gym facilitating fitness classes for players, members and the general public. This adds a social dimension to the club and opens it up to all age groups. The quality of the pitch surface is such that it attracts County and Inter County Matches all year round. The state of the art club house, stand and dressing rooms is one of the finest facilities in any club in Ireland. Individual drop in classes are just €5 if you would like to attend while in the Ballinamore area or want to try out a class. All welcome drop in any time. Michelle is also Leitrim’s GP Exercise Referral Co-coordinator so if you would like an individual fitness session for health reasons or for extra motivation, to avail of a health and fitness assessments, or you would just like a program suitable for you. Michelle offers personal sessions for €25. 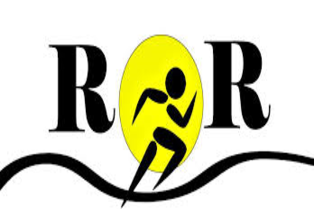 ROR Fitness and Therapy Clinic facilitates a therapy treatment room, recovery area and exercise studio. Clients can self refer to the clinic or they may be referred from their GP's, consultants or other health care practitioners. The clinic is open 6 days a week (by appointment). Late appointments and pitchside services are also available. Fitness classes on six days a week - booking essential. 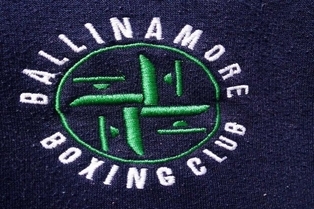 The Ballinamore Boxing Club meets in La Nua weekly - based behind Cumiskey's Sweet Shop. Training: on Tuesday and Thursday from 7:00pm till 9:00pm. The club charges €2 per night and insurance for the year is €10. Members: from 8 years old and up. 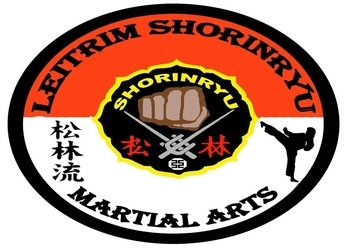 Leitrim Shorin Ryu Karate Club is the Martial Arts Association Board in Leitrim. 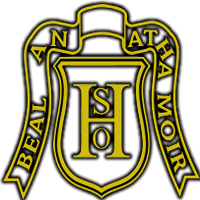 The clubs are located in Ballinamore and Leitrim Village and are focus on self defence and karate techniques. Leitrim Karate club teaches Matsubayashi style Shorin Ryu Karate and Kobudo. Shorin Ryu is one of the major modern Okinawan martial arts and is one of the oldest styles of karate. Matsubayashi Ryu is one of several styles of Shorin Ryu currently practiced worlwide. Matsubayashi, as a distinct style, was founded in 1947 by Shoshin Nagamine but has it's origins in styles which can trace their lineage back hundreds of years to other ancient arts including Shaolin Kung Fu. Kobudo, taught to the senior students and sometimes referred to as Ryūkyū Kobujutsu, is the traditional weapons based martial art of Okinawa and blends seamlessly with the unarmed disciplines. Leitrim Karate Club is a member of ONAKAI, the Official Amateur National Karate Association of Ireland, the national governing body for the sport/martial art in the country. Classes on Fridays in Community Centre, Ballinamore, Co. Leitrim. First lesson free!!! 5 euro a lesson after. Persons wishing to rent the Sports Complex or The Den (next door) should call Damien on 087 252 9144. The rents are for The Complex: single use €30 per hour, for block use (6 or more weeks) €25 per hour.The Den: €20 per/hour. The Den may also be booked for small or large meetings. The Sports Complex facilitates badminton, indoor soccer, basketball regular weekly fixtures. It also attracts events and competitions in the wider region. Leitrim Sports Partnership and Leitrim County Athletics Board organise in there the Leitrim Primary Schools Sports Hall Athletics Competition every year. Training at the Sports Hall on Tuesdays and Thursdays at 7.00 p.m. until mid March. New members are welcome to join at any training session. Training is aimed at health and general fitness, preparation for the indoor athletics events this term and outdoor running for those who wish to avail of it. All participants will receive refreshments afterwards and children must be accompanied by an adult. Competitions coming up include the Leitrim Indoor Championships in a few weeks, the Connacht Indoors at the end of February and the Leitrim Primary Schools Sportshall Athletics in early March. Competitors are prepared for these events. Abbey Rovers soccer membership spans age groups from U 8 to adults. Rugby players in Ballinamore enjoy membership in the nearby Carrick on Shannon club. Water sports on the Shannon Erne Waterway and myriad of local lakes include kayaking, canoeing, fishing. Tai Chi is available in The Buddist centre weekly, this is located on the road to Bawnboy about 10 minutes from Ballinamore. Health and Leisure Club at the Riversdale Guesthouse and Leisure Complex just outside the town offers swimming pool and gym facilities. Swimming classes for adults and children are available. The Playground on the Enniskillen road is a fun facility where children play and parents chat. 1st Leitrim Scout Troupe has Beavers, Cubs, Scouts and Venturers, ranging in age from Beavers 7 years to Ventures 16 years and upwards. The new scout den opened in 2013.